Letter to company from Trevor Fetter says his resignation will allow Tenet to deal with rapid changes. 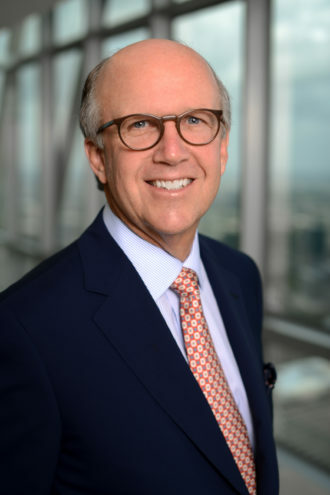 Saying that “an infusion of new thinking and new leadership” is needed at Dallas-based Tenet Healthcare Corp., CEO Trevor Fetter is resigning from his roles as chairman, chief executive, and director. In a statement, the company said Fettor would step down “at the earlier of March 15, 2018 or when a successor is appointed.” Tenet said the company’s current independent lead director, Ronald A. Rittenmeyer, will assume the role of executive chairman, becoming “the senior-most executive at the company,” effective immediately. Tenet’s board has hired Russell Reynolds Associates to conduct a search for a new chief executive. The company has also begun to “refresh the composition of its board.” That process is to ensure the board has the “best mix of skills and experience to maximize the future value of the company,” the company said. Read the rest at D CEO Healthcare.